in Indonesia after only two years! CJ CGV (CEO Seo Jung) recently opened its 20th theater after only two years since its launch in Indonesia. CJ CGV announced on May 30 that it had opened its 20th theater in Indonesia, the CGV Blitz Slipi in western Jakarta, on May 26. CGV Blitz Slipi has four screens and 674 seats, and is located in Slipi Jaya Plaza, a mega shopping mall at the heart of an office town and residential area. CJ CGV has launched what it calls its “premium 3S service” (Seat, Screen and Sound) to provide the best viewing environment within a compact space. In the first week, the company put on special events, which included stage greetings and acoustic music concerts and attracted sell-out crowds. The opening of its 20th theater shows CJ CGV’s rapid rise in Indonesia. Just two years and four months since launching in Indonesia in January 2014, under the management of Blitz Megaplex, CJ CGV now operates 20 theaters with 143 screens in the country. 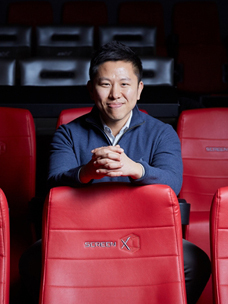 This falls short of XXI, which owns 75% of the screens in the country, but CJ CGV’s greater competitiveness in the market offers a foothold for further expansion. CJ CGV will use this as an opportunity to enhance the brand value of CGV Blitz, renewed by the acquisition of Blitz Megaplex, and will continue to expand the business. In fact, CJ CGV is planning to add eight more theaters this year, including CGV Blitz Slipi, to generate some KRW 60 billion in sales. Given that it totaled sales of KRW 34 billion last year from 19 theaters, CJ CGV is engaged in an aggressive drive to double the size of its business. Audience numbers are also set to increase to 10 million, from 7 million last year. CJ CGV’s confidence to expand into the Indonesian market is founded in its own proven strategies. At first, CJ CGV successfully introduced the so-called “Cultureplex” concept to Indonesia, the most representative site of which is CGV Blitz GI, the flagship movie theater of CGV Indonesia. With the adoption of the Cultureplex concept last year, its sales have increased by more than 20 percent. To be sure, CGV Blitz GI has become a popular attraction, with its retro-vintage design and a variety of events, including premiers, busking, and exhibitions, as well as movies. Providing differentiated services with CGV’s special theaters has also had a positive effect. 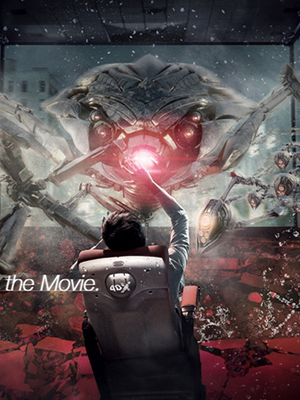 Services such as 4DX, the world’s first 4D theater that stimulates all of the five senses, a dome-like theater system Sphere X, and Starium, the super-large-scale digital theater, as well as features such as Velvet (a theater with flat-bed seats), Gold Class, and Sweetbox (a seat for two people) have all been tremendously popular. In addition, CJ CGV is also making concerted efforts to achieve “coexistence”. Since 2013, it has sponsored the development of young Indonesian film talent, focusing on Bandung and Jakarta. As a result, approximately 300 teenagers who participated in Toto’s Film Making Class have spread Korean culture in Indonesia. CJ CGV also hosted a Korea-Indonesia film festival as part of a cultural exchange to help develop Indonesia’s film industry. Last January, CJ CGV included Art House within CGV Blitz Bekasi, supporting the improvement in Korea’s independent film market. 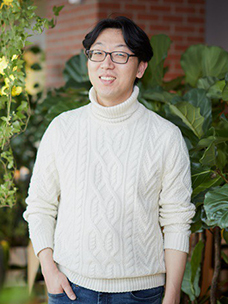 Thanks to the cultural exchange, 13 Korean films were screened last year, up from five films in 2011, which shows the company is contributing to boosting the Korean Wave.